New Hire Hardhats: For the first 120 days, each new hire we have on our job site will be required to wear a different color hardhat from the rest of our company. 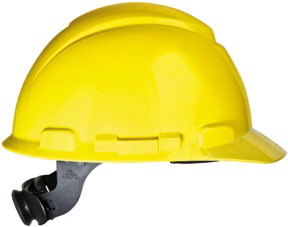 The New Hire’s hardhat will be a “Hi-Vis Yellow” colored hardhat. Both Kirby-Vass Insulation and Firestop of Virginia will be required to wear this new hardhat until the appropriate time has been reached. This change is to help our new hires get accommodated with our standards on the job site. The new hardhat will also help the veterans know when they see that different color hardhat that a new hire is on site and we need to provide some extra attention towards them. As Kirby-Vass Insulation and Firestop of Virginia continue to work on our safety and quality of work for each job, we believe this change can be a proactive way for our veterans to encourage, teach, and help develop our new hires from the first day on the job.